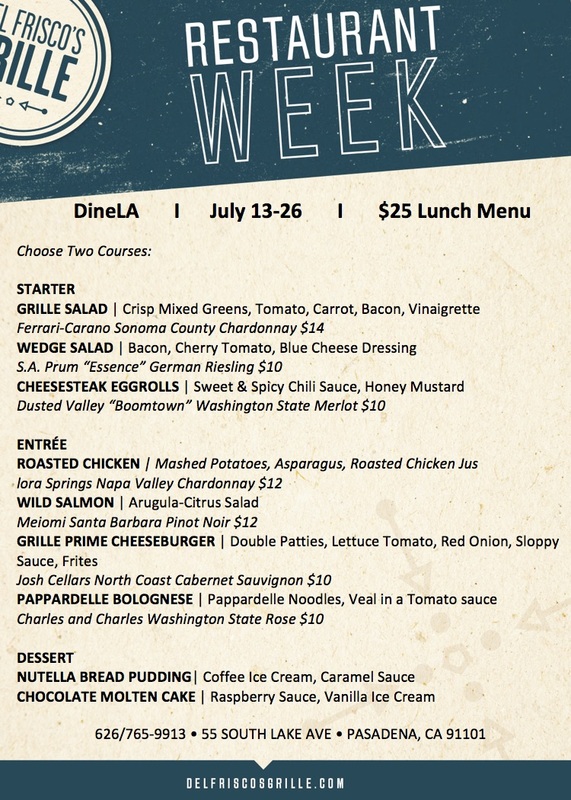 Can you believe it’s Dine LA week again already? Del Frisco’s Grille is relatively new to the Pasadena restaurant scene, but it's definitely a spot not to be missed. Del Frisco's Grille is located right in the middle of all the Pasadena action right on Lake Avenue. They serve up unique twists on American comfort foods. You can expect dishes like Cheesesteak Egg Rolls, Ahi Tacos, Flatbreads, as well as salads and prime steaks among other dishes. I ordered one of the most popular appetizer items from Del Frisco's. Here are the Ahi Tacos made with tuna tartare, avocado, spicy citrus mayo. Another popular appetizer are the cheesesteak egg rolls with sweet and spicy chili sauce and honey mustard. When it came down to selecting an entree, my friend Kiyra and I were stumped. The Dine LA lunch options all looked so good, but we ended up going with the Grille Prime Cheeseburger, which has double patties, lettuce, tomato, red onion, sloppy sauces, and fries. When in Pasadena, you have to go with a cheeseburger if it's on the menu! I mean what other city has a whole week dedicated to cheeseburgers? 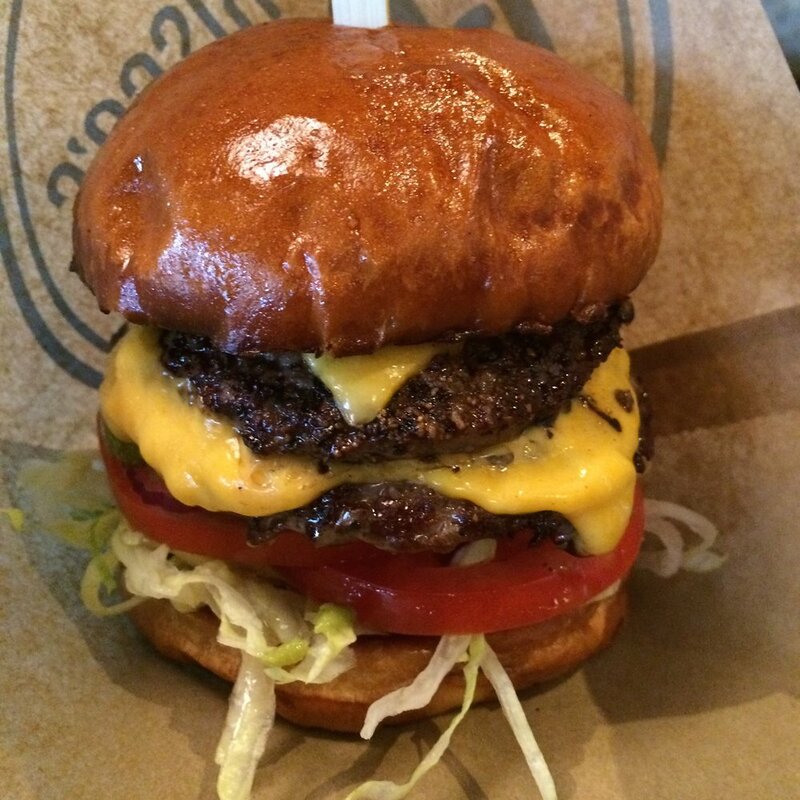 Every January, 40 of Pasadena's restaurants participate in the city's annual Cheeseburger Week. Del Frisco's cheeseburger didn't disappoint. The burger was juicy and the pickle was unbelievably flavorful. The fries were very crispy too. Now this is was the highlight and surprise of the entire meal! Adult milkshakes! Del Frisco's Adult Milkshake is made with vanilla ice cream with Crème de cacao and Nocello walnut liqueur milkshake. Wow! So much flavor. I'll be honest... I wasn't expecting much since I've had my share of adult milkshakes from other places, but you have to try this! From July 17-27, Del Frisco's Grille's adult milkshakes are only $7 with any purchase. Plus, July 19th is National Ice Cream day so I always like to start my celebrating early. For dessert, Kiyra and I opted for the Nutella Bread Pudding with Coffee Ice Cream and Caramel Sauce. I highly recommend you stop by for one of Del Frisco's Adult Milkshakes! You won't regret it! Also, if you want to get a little taste of everything, Restaurant Week is a great time to do it. Here's the Dine LA menu, which runs until July 26th. Del Frisco's is taking part in Dine LA's Restaurant Week right now. Lunch is $25 and Dinner is $40. Take a look at their special menus for the occasion.